Tim was born in Brooklyn, NY and raised in Bear Creek, PA. He loves the excitement of a city but can’t seem to stay away from the woods. So, needless to say, he feels right at home in Mt Airy’s Wissahickon/Fairmount Park. 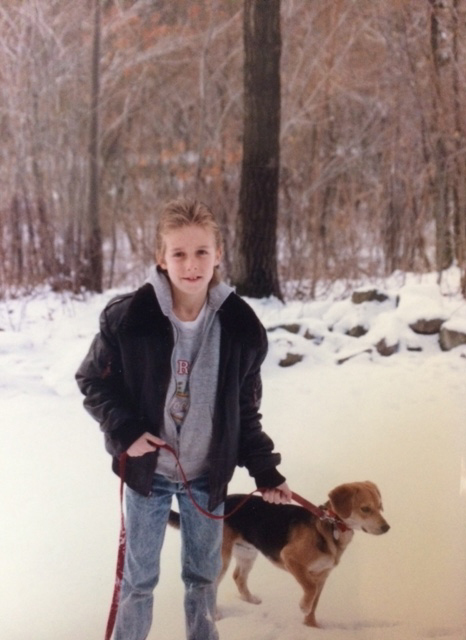 Tim has always loved animals and cannot remember a time when his family was without a pet. His best friend for 14 years was a Black Lab/Springer Spaniel mix named Mickey. His current dog, Ruby, is a Jack Russell/Dachshund mix who, like Tim, is most comfortable forging her own trails in the woods. Tim has worked in a couple different fields and lived in a few places, including Denver and Omaha. He has spent a large portion of his life writing, recording, and performing music with and without a rock n’ roll band. When he isn’t working, he can be found hiking, playing guitar, or trying to catch a Mets game. Tim lives in Mt. Airy with his wife, Meredith, his 2 young sons, and Ruby. 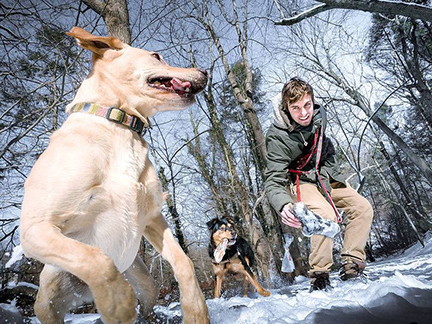 Tim loves to see pets (and their humans) doing what makes them happy at that moment –be that running through the woods, relaxing, or something in between. He believes in truly respecting animals and learning what makes each one unique. He’s been told patience is one of his greatest virtues. Tim has been on Team Queenie’s since 2013.